The Importance of Chocolate | Favorite Foods, Inc.
Chocolate is not just for Valentine’s Day. It’s something we desire year-round, so why not have chocolate specials on your menu every week? Did you know that chocolate significantly reduces theta activity in the brain, which is associated with relaxation? This is why we crave chocolate when we are stressed. Two-thirds of chocolate is consumed between meals and 22% of all chocolate consumed between 8pm and midnight. Therefore, having an after-dinner menu featuring chocolate based desserts, chocolate cocktails, or even placing complementary chocolates on the table with the check is ready are all things that will allow customers to get that fix after their meal and to relax before heading home for the night. Having table tents with your dessert options and after dinner cocktails with images visible to guests will increase the chances of them ordering because it’s the first thing they’ll see when they sit down. So how do you get the best chocolate items on your menus? 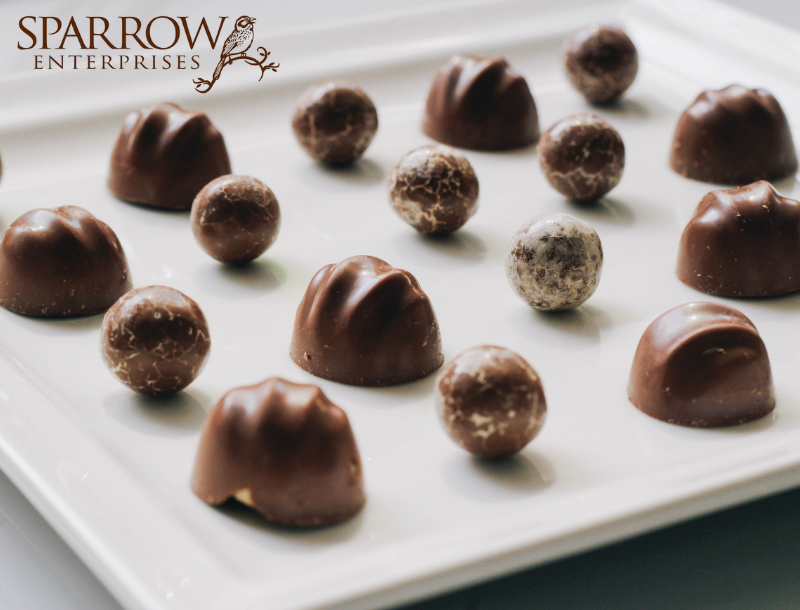 Sparrow Foods offers over 10 specialty chocolate lines, and carries over 2,000 products for use throughout the food industry. They’ve have been providers of quality chocolate products since 1924 – so they really are experts! They offer Chocolate Cups, Shavings, Blossom Curls, Ribbon, and many other Decorations, which increase the visual appeal of your desserts. Having the right finishing touches and chocolate specialty items will set your desserts apart from the competition and will certainly be Instagram worthy! Call us to find out more about the Sparrow items we stock and how to make the best of your dessert menu with the help of their expert team. You can also find out tons of great product information on their website http://sparrowfoods.com. Click for more chocolate facts.